A mere six months after it became available for download, Pokemon Go has earned more than $1 billion. The mobile game reached the magic number faster than either Puzzles & Dragons or Candy Crush. By comparison, Clash Royale, another phenom mobile game from 2016, peaked at just under $600 million in revenue. Pokemon Go isn’t even available in China, which is the planet’s largest cellphone market, primarily because of government objections and a dearth of Google service. Revenue has dropped from a high of about $18 million a day to about $2.5 million a day, but the app game just went live in South Korea, so those numbers will probably go up. Developers recently released a Pokemon Go app for the Apple Watch. Other evidence suggests that distracted driving may be even more dangerous than first believed. One advocacy group concluded that distraction latency — from the moment drivers put down their devices after using them to the moment they are once again fully engaged behind the wheel — may be almost 30 seconds. That may be one reason why half of today’s drivers say they felt less safe on the road now than they felt five years ago. Nationwide, distracted driving causes about 5,000 fatal crashes a year, or almost 20 percent of the total. 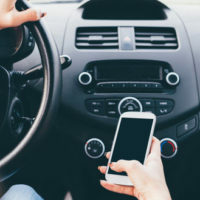 Florida has a very limited cellphone law that normally only applies to texting while driving; however, almost all state law enforcement agencies collect distracted driving-related crash data, making it easier for victim/plaintiffs to prove liability based on distracted driving in court. Cognitive impairment (taking one’s mind off driving). This definition could apply to a wide range of activities, even everyday functions like rolling down the window or talking to passengers. It is up to a jury to decide what level of distraction is acceptable and what level crosses the line. For example, jurors may conclude that using a GPS navigation app is caress but not a breach of duty. Victims who suffer serious injuries in car crashes are entitled to compensation for their noneconomic losses, such as emotional distress, and their economic losses, including medical bills. Punitive damages may be available as well, in some cases. Distracted drivers are liable for the damages they negligently cause. For a free consultation with an aggressive personal injury lawyer in Brandon, contact Reed & Reed. From our office in Brandon, Reed & Reed helps clients in Tampa, New Tampa, Plant City, East Hillsborough County and throughout the state of Florida.